Who do you look up to when you are the man who killed Mufasa and left Simba fatherless? Easy. You look up to the man who killed Bambi’s mother and left the beloved fawn crying alone in the forest. The former would be Andreas Deja, the Disney Animation legend behind classic characters like Scar (The Lion King), Jafar (Aladdin), Gaston (Beauty and the Beast), Lilo (Lilo & Stitch), and even “evil Mickey” from Runaway Brain. 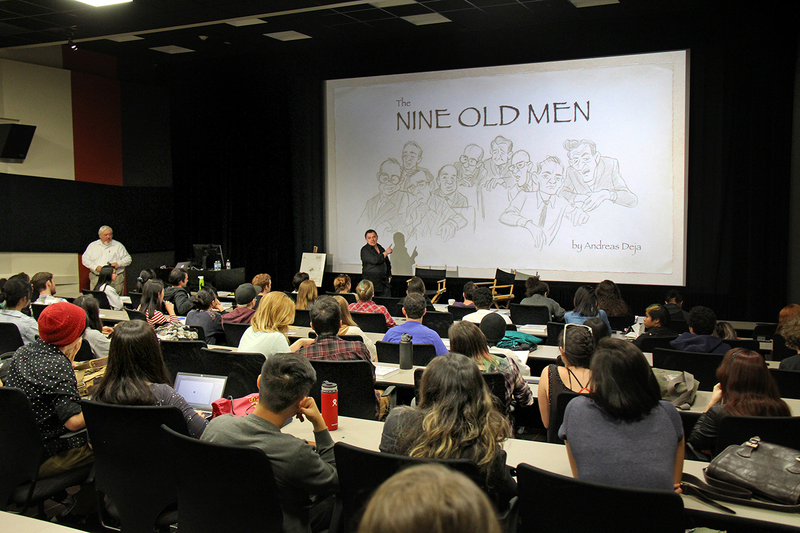 Deja visited the USC School of Cinematic Arts (SCA) on February 24th for an insightful conversation on his latest book, The Nine Old Men, about the animators who created the Disney legacy. The term “Nine Old Men” originated with Walt Disney himself, who used it to refer to an elite group of animators, each with unique artistic strengths, who would imagine, design, write, direct, and animate most of the classic Disney films. 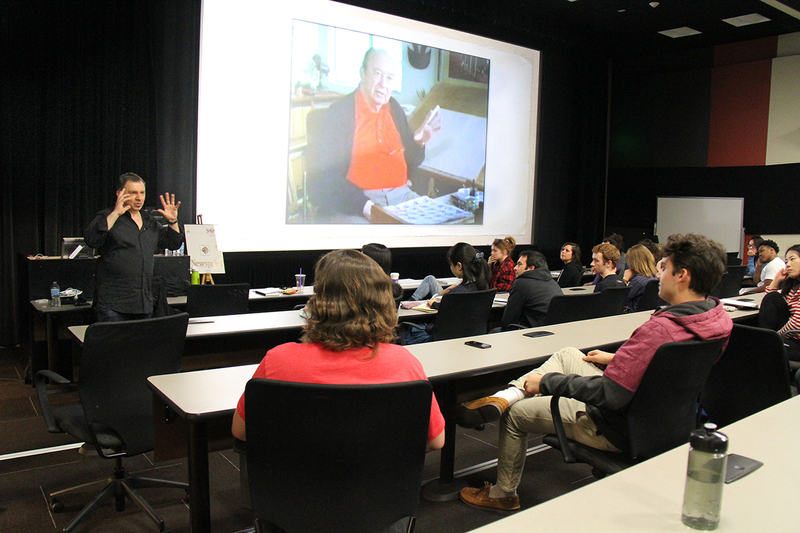 Deja was himself hired at Disney when he was twenty years old, although, as he told SCA animation students, he applied to the studio for the first time when he was only ten. Deja was fortunate to be part of the last generation of animators trained by the original Nine Old Men. When he arrived at the studio, he was put under the guidance of Eric Larson, who was in charge of training new talent. During this period, Deja was able to work with and forge friendships with Larson and the six other surviving Nine Old Men (Les Clark and John Lounsbery had already died): Marc Davis, Milt Kahl, Ward Kimball, Wolfgang Reitherman, Frank Thomas, and Ollie Johnston, the animator who killed Bambi’s mother. After more than 30 years at Disney, Deja is considered one of the most successful and talented animators of his generation. He is also a true lover of animation, is passionate and respectful of its history, and is an avid historian and collector of Disney art. This has made him one of the go-to guys when talking about Disney history. So it was only natural that he should write a book about the artists who inspired him. While he worked with them, Deja spent countless hours talking, learning, and documenting everything he could get from the Disney legends he admired so much. 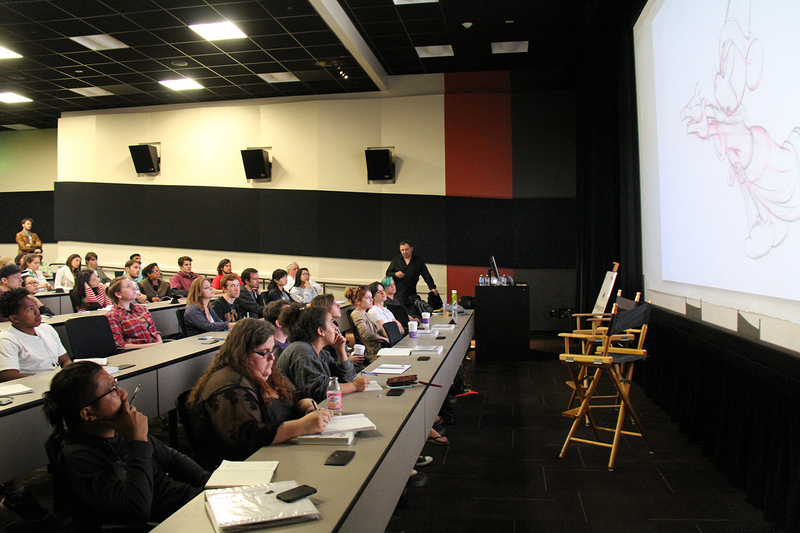 He thrilled the SCA students with personal anecdotes, insider scoops, and animation tips he collected from his mentors. All this is reflected in the book through his writing and with carefully selected artwork, including sequential animation frames from each of the Nine Old Men. 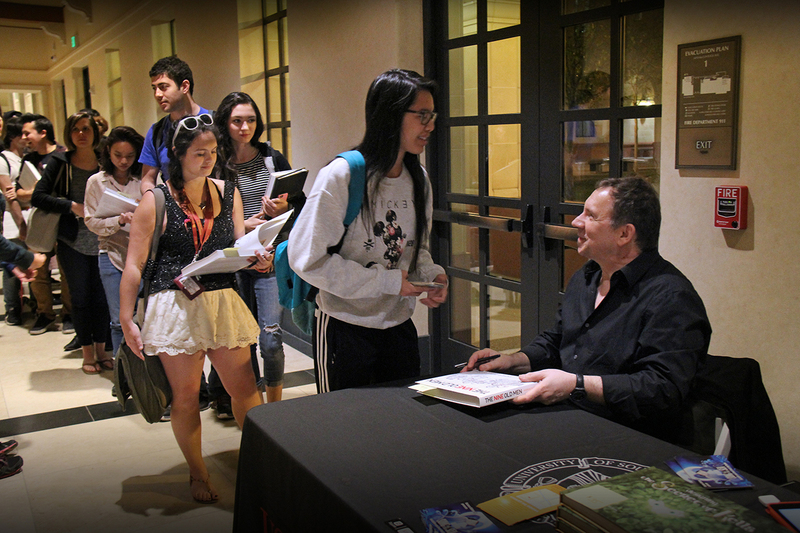 The evening concluded with a book signing during which Deja took time to personally talk to each student, answered questions from a long line of fans, and even made drawings for each person brave enough to stay to the end and ask for a character. Deja is a man who fell in love with animation after watching The Jungle Book—still his favorite—and has sustained his love of a genre that he describes as the most complete art because it encompasses music, storytelling, movement, painting, drawing, and dreaming. This is the legacy he speaks about in the book and it is the legacy he is proud to be part of. For animators, he is an artist to look up to. Even if he killed Mufasa.